Istanbul Silah and Savunma A.S., is an industrial Corporation established in 2003 by Erol Kurt in Istanbul – Umraniye for manufacturing of hunting and sporting firearms. In first years, Istanbul Silah produced and exported Impala, CZ Turka and Mikado semi auto shotguns to USA and worldwide markets with success and started manufacturing private label parts and shotguns for well known brands. 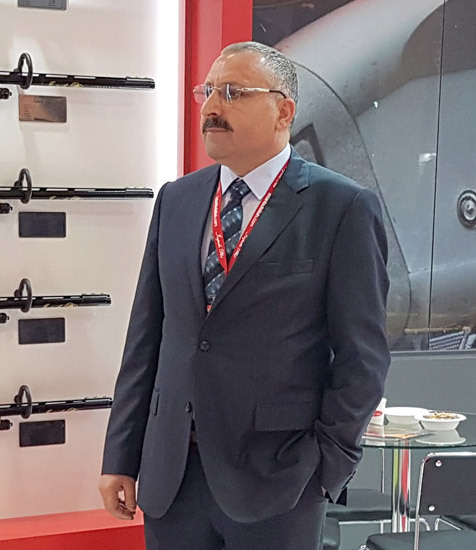 Istanbul Silah established a quality control culture based on the requierements of American and European markets and successfully completed the tests of Impala Plus kinetic semi auto shotgun in 2016. After Impala Plus patented and took its place in the shelves of gun shops wordwide, Istanbul Silah added .308 Bolt Action Rifle,”Monza” to it’s product range. Monza has been designed from scratch and manufactured %100 inhouse in Istanbul Silah facility. Istanbul Silah continues R&D studies and manufacturing with 230 employees in it’s 18.000 m2 facility which is the third factory building in 15 years to be able to fit Istanbul Silah in. Istanbul Silah completes the manufacturing 100% inhouse including Wood, plastic injection, paint & coating, machining of receivers and barrels and Works with 98% export ratio. Istanbul Silah has “Facility Security Certificate, Rifled Firearms Manufacturing License, ISO 9001:2015 Quality and ISO27001 Information Security certificates. Istanbul Silah is the only company in small arms sector in Turkey that holds Authorised Economical Operator (AEO) certificate. Istanbul Silah continue to carry Turkish small arms sector by investing in technology and people, increasing the number of patents and new designs made by it’s Professional and experienced engineering team. Since its establishment in 2003, ıstanbul Silah moved to it’s third factory building in Dudullu Organized Industrial Zone. 230 staff members continues their production and R&D activities in 18,000 m2 indoor production area. • Istanbul Weapons and Defense Industry Inc.
• Istanbul Foreign Trade Inc.